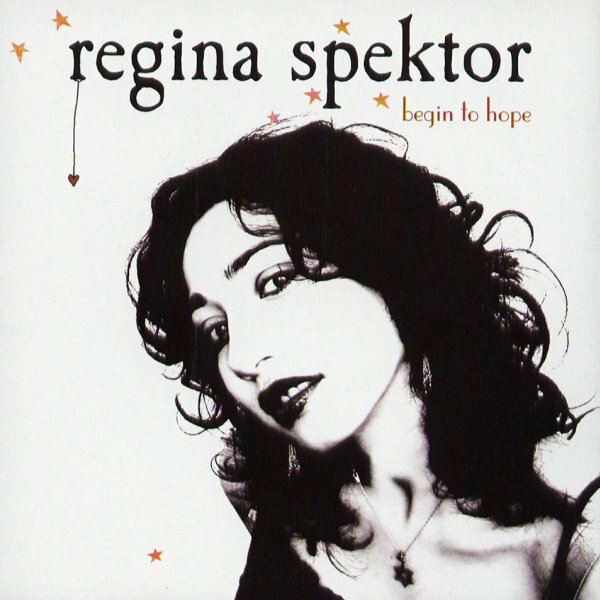 Begin to Hope is the fourth album by American singer-songwriter Regina Spektor. It was released June 13, 2006. The album debuted at number 70 on the Billboard 200, but due to the popularity of the single "Fidelity", it peaked at number 20 and was labeled a "pace setter" by Billboard. Rolling Stone named it the 21st-best album of 2006. The album was certified Gold by the RIAA for shipments to U.S. retailers of 500,000 units. On Begin to Hope, Regina Spektor treads a delicate balance between her anti-folk past and her present home on Sire Records. Though the label re-released Soviet Kitsch in 2004, Begin to Hope is Spektor's first original material for Sire, and it feels more like a major-label debut than Soviet Kitsch ever did. The album's big, glossy production and preponderance of drum machines and keyboards inches Spektor toward territory that isn't exactly mainstream, but is closer to a more conventional adult alternative singer/songwriter sound.